Includes our Patented Drip-Proof, Clog-Proof Super Glue. Activator speeds the cure-time of high viscosity cyanoacrylate adhesives. Can be used to improve the gap-filling abilities of the cyanoacrylate adhesive. For surface activation: Clean surfaces thoroughly. 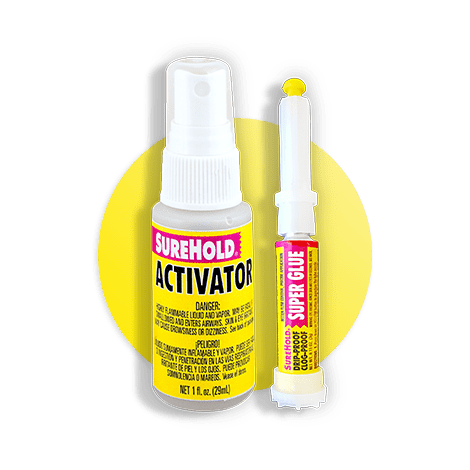 Spray Activator to parts to be bonded or repaired and allow to evaporate. When dry, immediately apply CA glue and assemble parts.